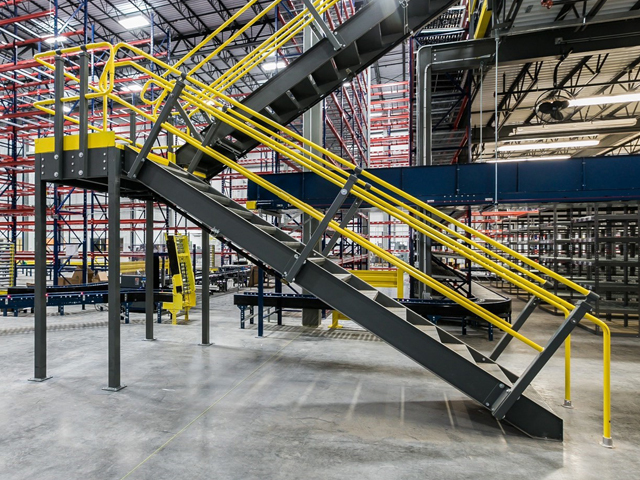 The JiffyStair™ Modular Stair System seeks to provide a quality stair system with quick turnaround. Its exclusive product packaging fits all components on a standard pallet for cost-effective freight. 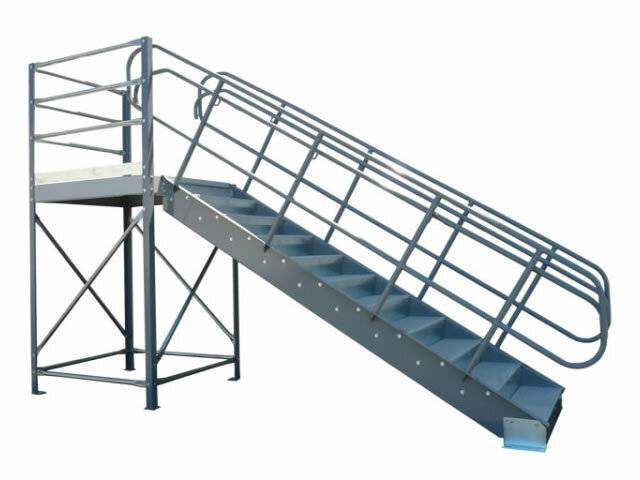 All JiffyStair™ components are stocked and are available for next day shipment (in limited quantities only; up to 12 ft. top of deck). 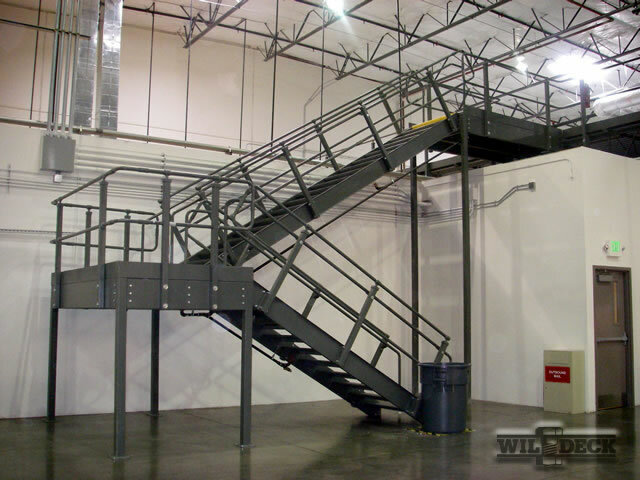 Wildeck stair systems can be installed in virtually any facility. 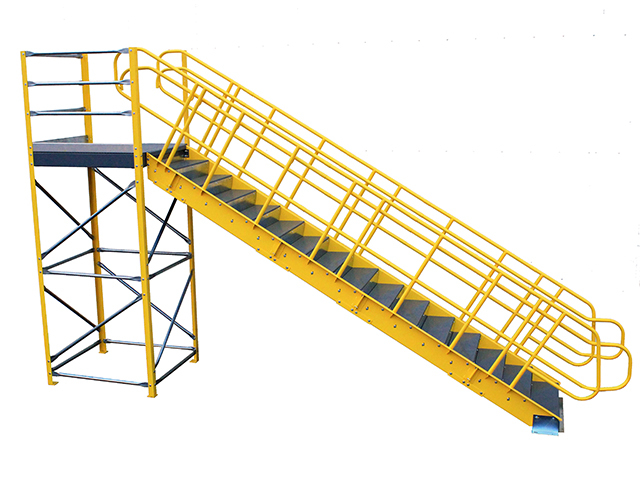 Whether you require access to mezzanine platforms, catwalks, rack/shelving systems, or other elevated structures; the modular JiffyStair™ can be designed (or adjusted) to meet your specific application requirements.